WIN OVER $50.000+ IN QUILTING GOODIES! 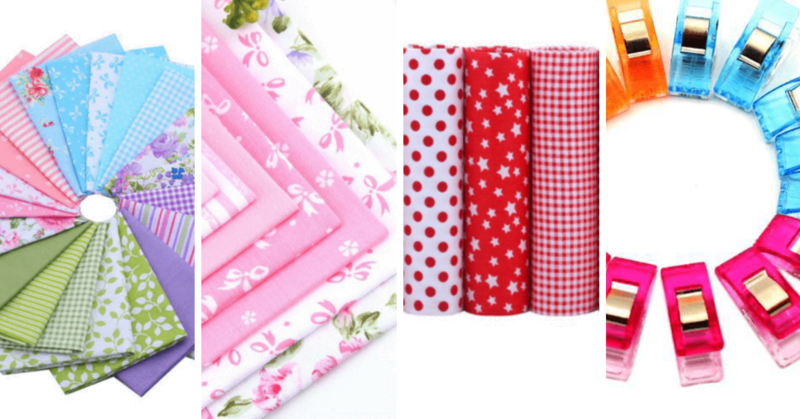 WIN OVER $50.000+ IN QUILTING GOODIES! Win OVER $50.000+ IN QUILTING GOODIES! Giving away more than $50.000 worth of sewing and quilting supplies! 1. The promoter of the contest is TheFabricHut.com. 2. Employees of The Fabric Hut or their family members or anyone else connected in any way with the competition or helping to set up the competition shall not be permitted to enter the competition. 3. There is no entry fee and no purchase necessary to enter this competition. Winner may incur shipping or other costs associate with delivery of prize. 4. The approximate total available prize value is $50,000. 5. Contest begins on Nov. 5, 2018 and ends on Nov. 20, 2018. After this date there are no further entries permitted to the competition. The promoter reserves the right to change the beginning or end date. 6. The Fabric Hut is not responsible for entries or points not received for whatever reason. 10. Winners will be chosen at random, however the more points/entries earned per participant the higher the chance of winning. Note that all winners are selected at random and the highest number of entries does not guarantee any compensation. 11. The winner will be notified by email within 28 days of the closing date with instructions on how to claim the prize. If the winner cannot be contacted or do not claim the prize within 14 days of notification, we reserve the right to withdraw the prize from the winner and pick a replacement winner or cancel the prize. 12. Cheating for entries in any way (referring yourself using different emails or similar tactics) will disqualify you from winning the contest. 15. The winner agrees to the use of his/her name and image in any publicity material. Any personal data relating to the winner or any other entrants will be used solely in accordance with current data protection legislation and will not be disclosed to a third party without the entrant’s prior consent. 17. This promotion is in no way sponsored, endorsed or administered by, or associated with, Facebook, Twitter or any other social network. You are providing your information to The Fabric Hut and not to any other party. 18. Entry does not guarantee any sort of prize or reward. Winners are chosen at random. With over $50.000 in prizes, every person who enters will win something! The Fabric Hut is a customer-focused company dedicated to serving the needs of quilters and sewing craftsmen and women worldwide. How are you giving this all away? Is there a catch? These giveaways help us get the word out about our service. There is no catch, we're just trying to spread the word. There is no purchase necessary to enter the contest, and we're giving away TONS of free stuff. 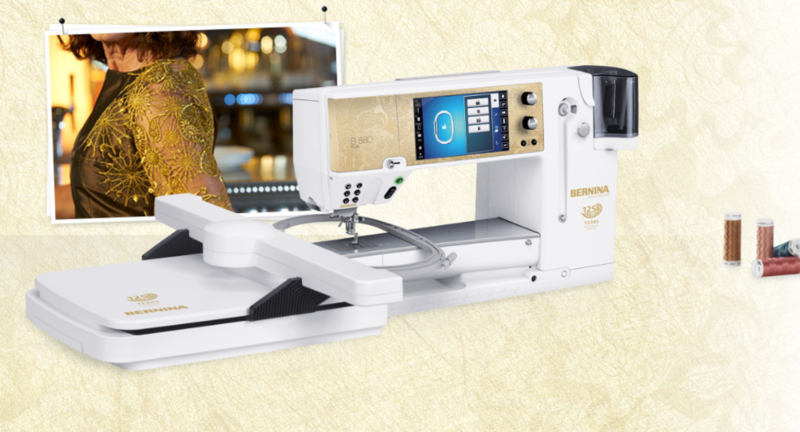 First Prize is a BERNINA 880 Plus AE worth $15,499.00! Giving away $20,000+ in gift cards! To help promote Black Friday, we're giving away many gift cards. We'll be picking random winners to receive gift cards between $100 and $1.000 in value. Enter today to get your chance! Giving away 1.500+ discount coupons! To help promote Black Friday, we're giving away many discount coupons. We'll be picking random winners to receive discount coupons between 50% and 10% in value. Enter today to get your chance! Every person who enters will win something! There is at least one prize for everyone who enters, guaranteed! Just for participating in the giveaway you will win a $5 USD gift card and we will be giving away thousands of prizes until Black Friday, so there is a good chance you will win more than one prize. And you can even be the winner of that wonderful Bernina 880 Plus AE. Who knows, right 😊? Don't Miss YOUR Opportunity to Win Big. Over $50,000 of Prizes Up For Grabs!